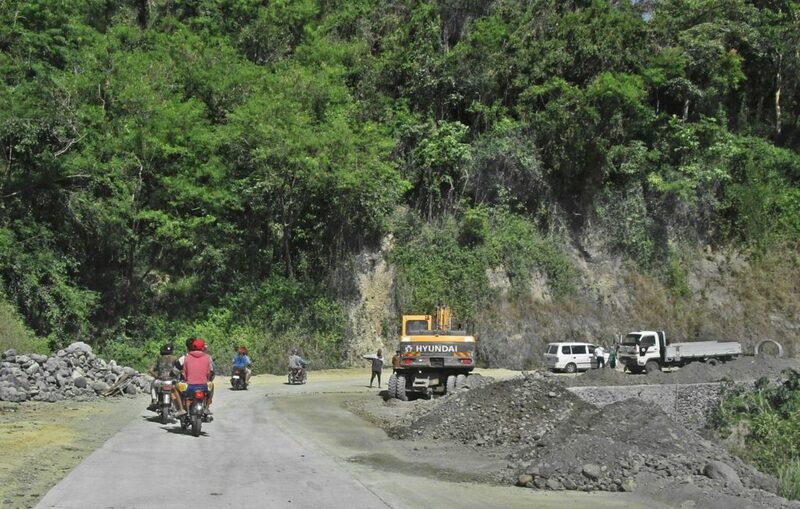 The new name of road is Pangasinan-Nueva Viscaya Road. About 6 km (rough estimate) from that bridge up are now concreted with two lanes. A drainage ditch is incomplete or not built yet. Roughly another 3 km are concreted in patches. 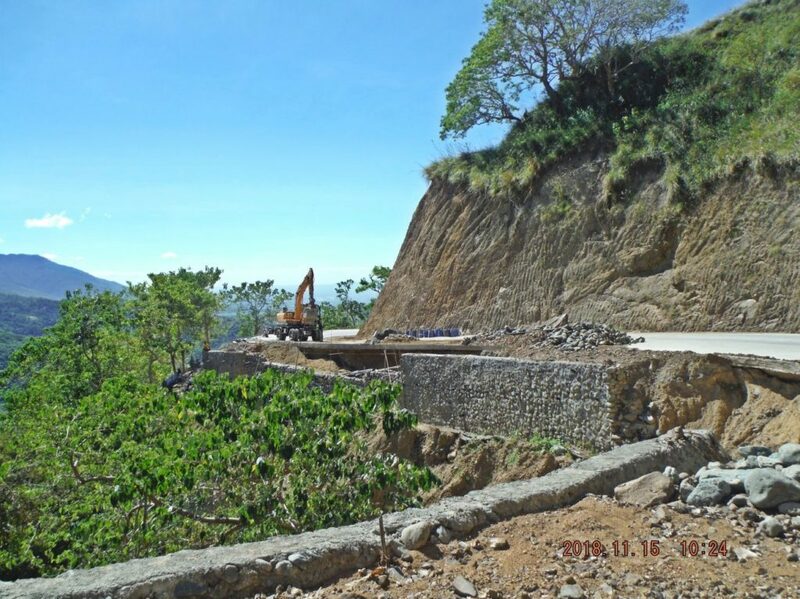 The road is now connected, cut, one lane opened for equipment movement between both ends (San Nicolas-Pangasinan and Santa Fe-Nueva Viscaya). 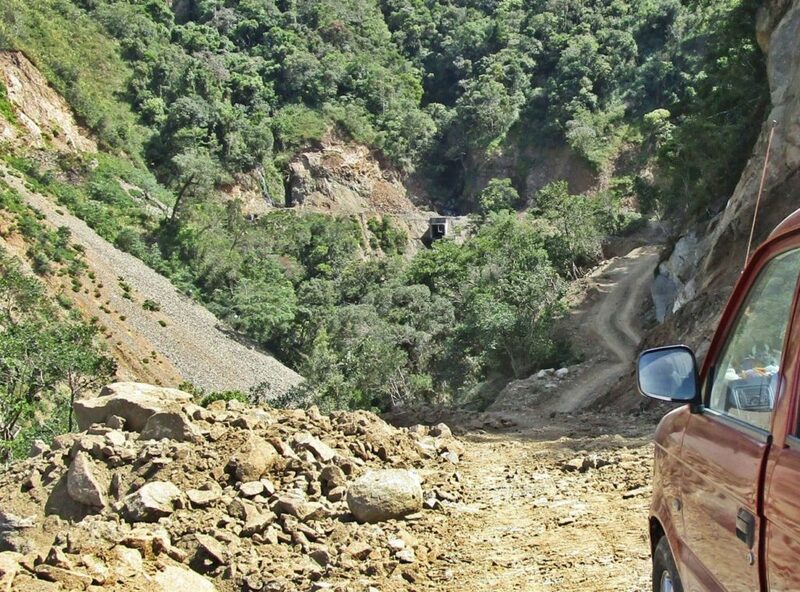 The road from Santa Fe up to the Salacsac Passes, about 20 km, is now concreted except for about 100 meter. 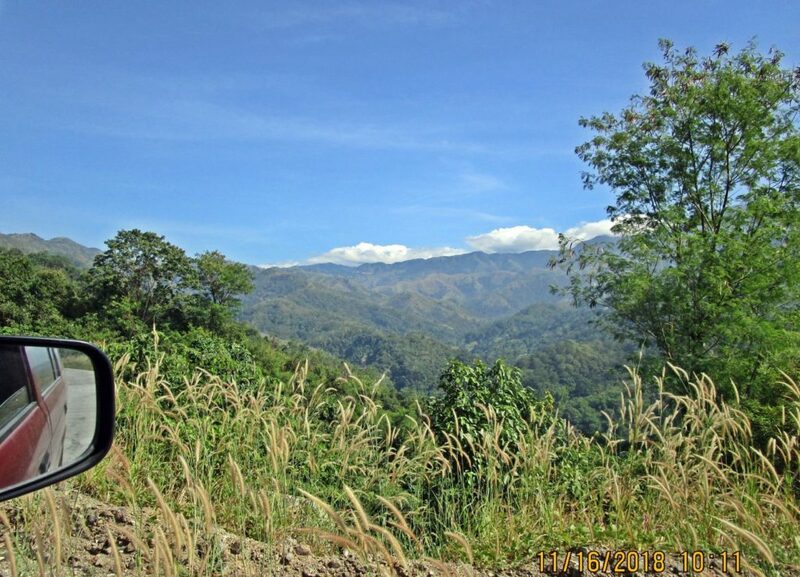 At this location is the village of Malico (Pangasinan), passed it, another 2 km are concreted. The work started from both ends and on the 16th of November I walked about 4 km in the middle to make sure that one can now walk the whole length. On both ends work is going on to stabilize the embankment at many ravines. 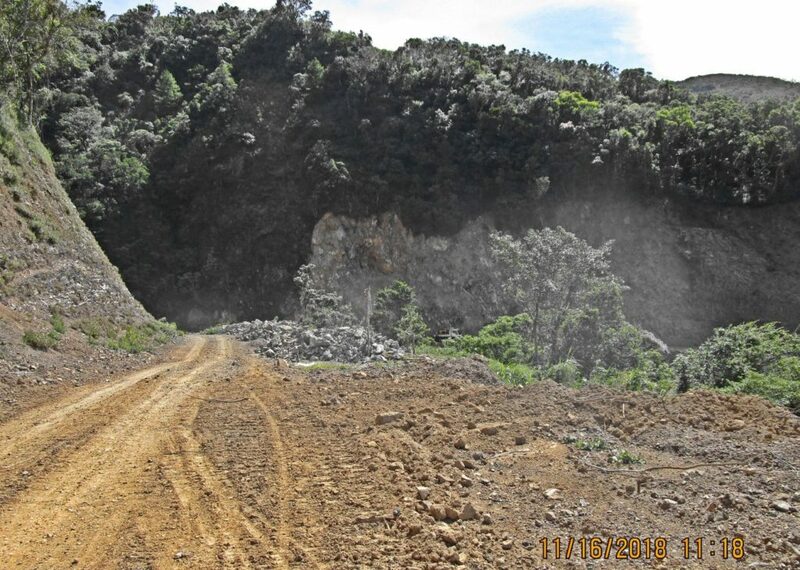 In the middle and at the Malico end the road still needs to be widened, blasting was used that day for that purpose. 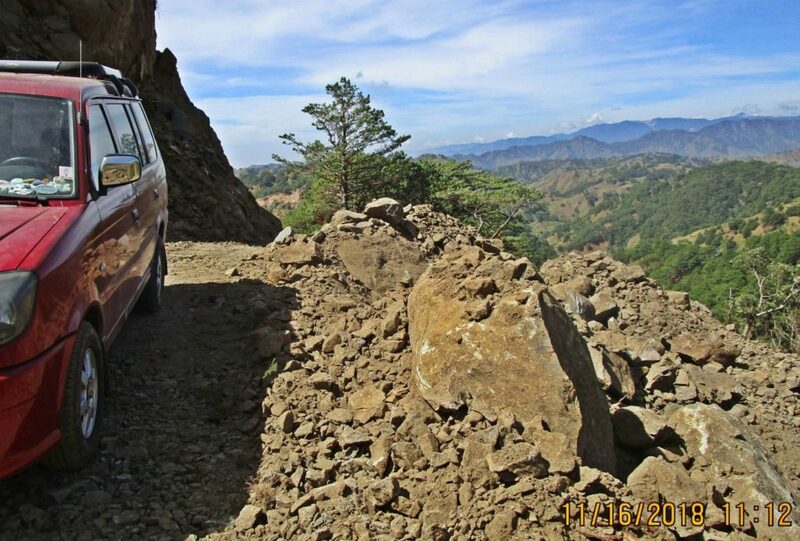 It is a very difficult job at some steep rocky places or in the middle where it seems to be mostly lahars material, but the authorities and contractors keep plucking away. I don’t dare to give a completion date. Local motorcycles and bicycle riders are using this road now, stay clear of heavy equipment. I seen a few motor cars, trucks use the road, the whole way, I did drive it myself but advice others not to do it yet. Blasting is going on and some sections are too sandy, muddy, rocky or to steep. The 32nd Inf. Div. WWII 1945 Memorial is still sitting, in its damaged state, near the Villa Verde Bridge. It was damaged during the road and bridge construction. Zc893. 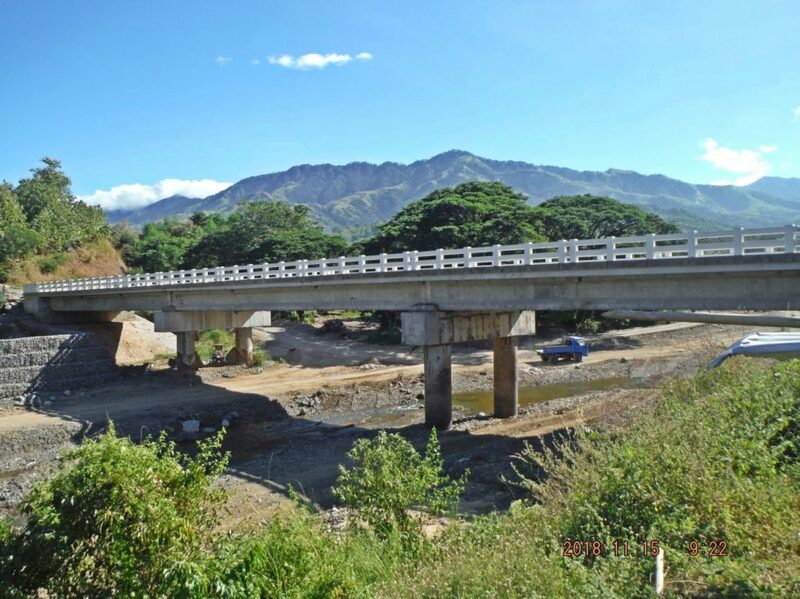 About 6 km (rough estimate) on the Villa Verde Road from that bridge up are now concreted with two lanes. A drainage ditch is incomplete or not built yet. Zc894. 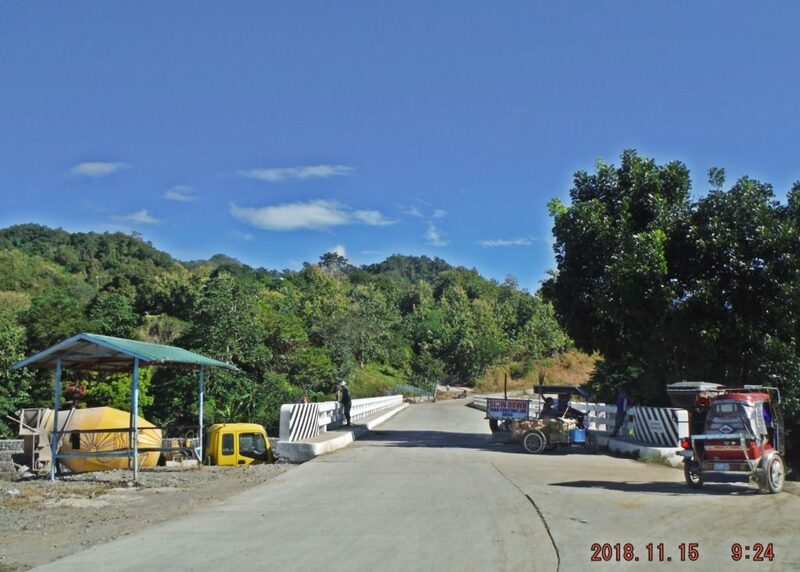 About 6 km (rough estimate) on the Villa Verde Trail (Pangasinan End) from that bridge up are now concreted with two lanes. A drainage ditch is incomplete or not built yet. Roughly another 3 km are concreted in patches. Zc895. On both ends of the Villa Verde Trail/Road work is going on to stabilize the embankment at many ravines. 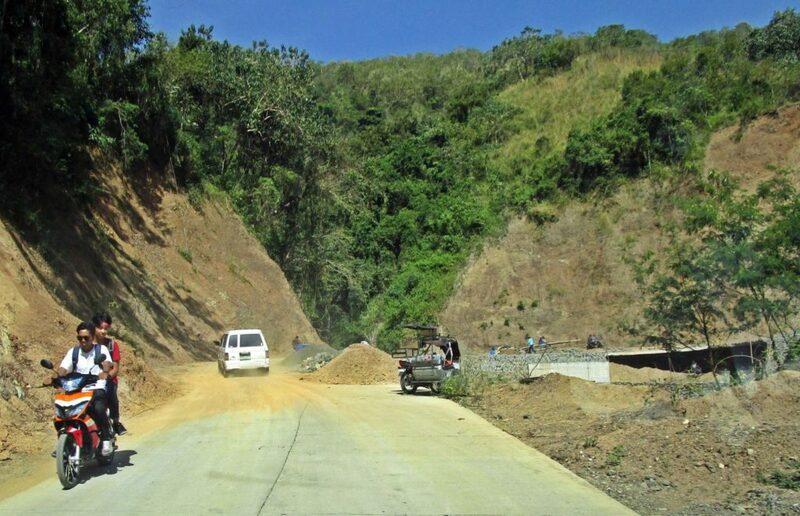 The new name of road is Pangasinan-Nueva Viscaya Road. The 32nd Inf. Div., the Red Arrow Division, built this monument in 1945 to honor the horrendous sacrifices made by its Soldiers and attached Philippine Luzon Guerrillas Army Forces (LGAF) and civilians in conquering the Villa Verde Trail and the Salacsac Passes. It was located very near to this new bridge and sadly it was damaged during the construction of this bridge. Later another 32nd Inf. Div. Red Arrow Symbol Monument was erected in the San Nicolas Plaza. 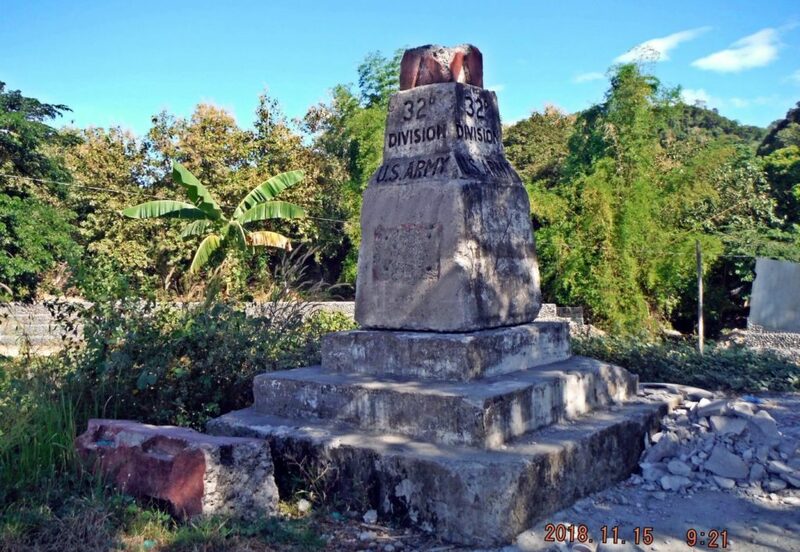 The people of San Nicolas named their High School “Red Arrow” in appreciation of their liberation by the U.S. Army, from the Japanese Invaders. What could be done now? A suggestion I expressed several times in our Corregidor Proboard is, to establish a Villa Verde Memorial Park or marker similar as the Balete Pass Memorial Park. 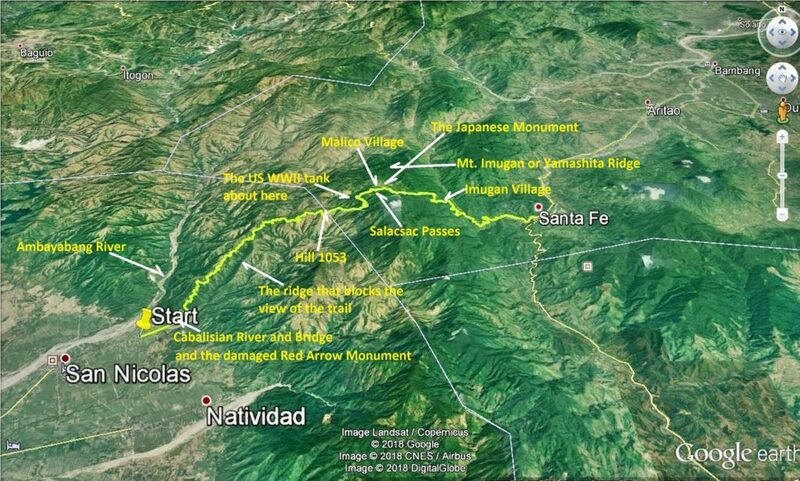 Put up this Villa Verde Trail Memorial in Malico, the actual Salacsac Pass; this is where most of the fighting occurred. This is still Pangasinan; the Japanese already have a marker there. Use the old Red Arrow Marker, fix it after the Pangasinan-Nueva Viscaya Highway construction damaged it, and move it near the Japanese one. Then move the tank which is about 3 km from that location also to this place. And then does whatever else might seem appropriate and make it a nice park where travelers between the two provinces and regions stop and reflect about history and country. Zc896. 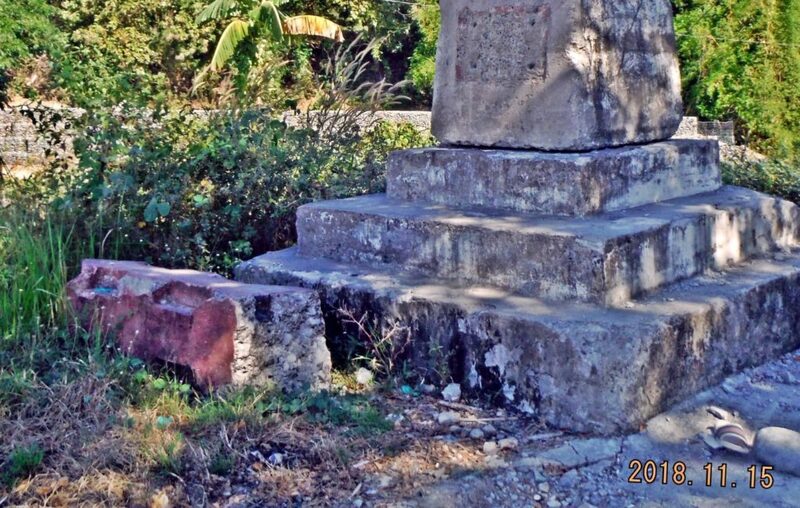 This is the damaged 1945 Red Arrow Division Monument of the 32nd Infantry Division, temporarily standing near the new Villa Verde Bridge, the starting point of the Villa Verde Trail and now the starting point of the new Pangasinan-Nueva Viscaya Road. Zc897. 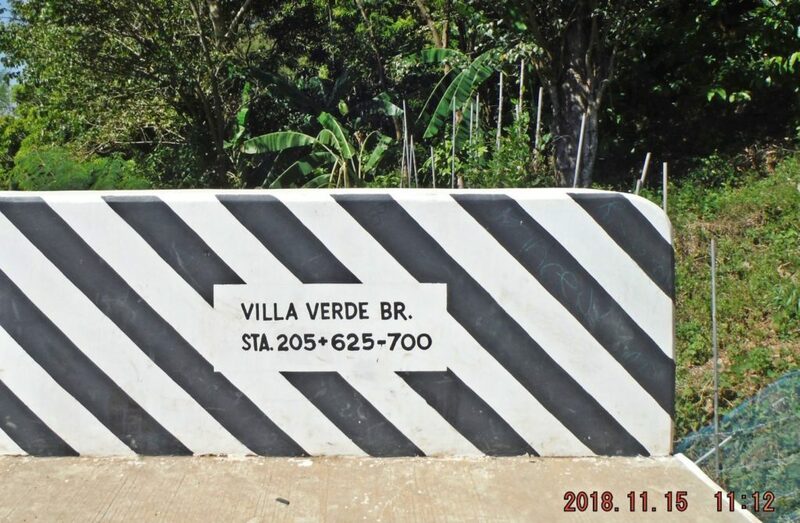 This is the damaged 1945 Red Arrow Division Monument of the 32nd Infantry Division, temporarily standing near the new Villa Verde Bridge, the starting point of the Villa Verde Trail and now the starting point of the new Pangasinan-Nueva Viscaya Road. Zc898. 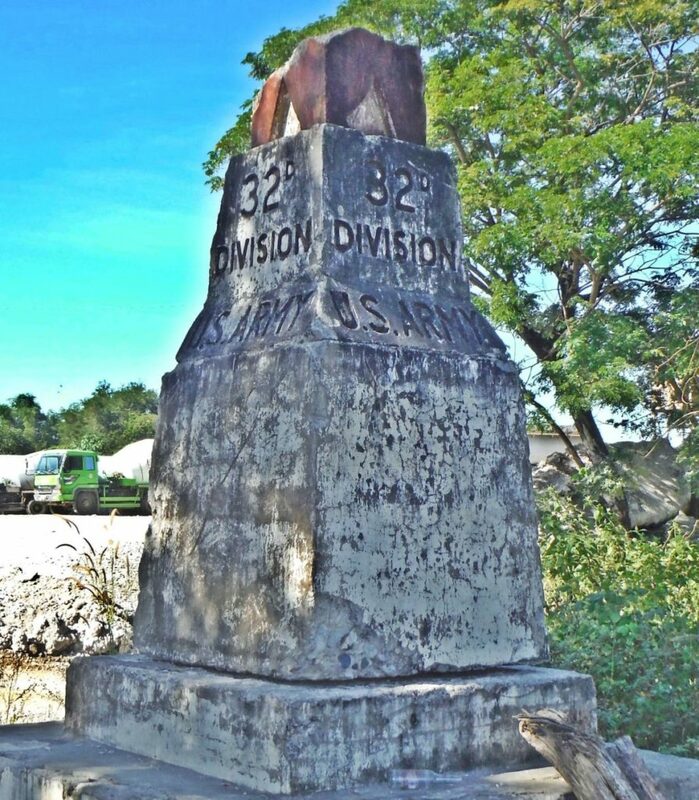 This is the damaged 1945 Red Arrow Division Monument of the 32nd Infantry Division, temporarily standing near the new Villa Verde Bridge, the starting point of the Villa Verde Trail and now the starting point of the new Pangasinan-Nueva Viscaya Road. Zc899. 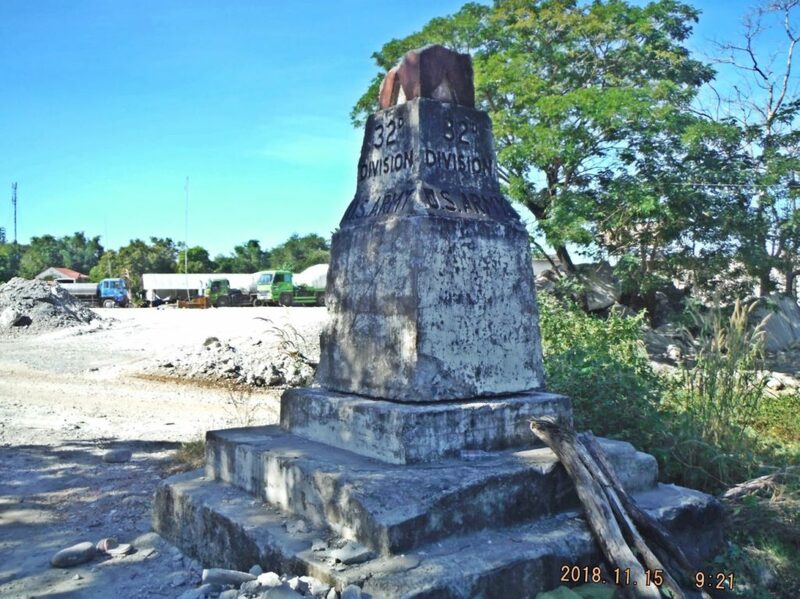 This is the damaged 1945 Red Arrow Division Monument of the 32nd Infantry Division, temporarily standing near the new Villa Verde Bridge, the starting point of the Villa Verde Trail and now the starting point of the new Pangasinan-Nueva Viscaya Road. When I walked a section of the trail today I met two cars and some motorbikes, I stopped them and asked them whether the trail can be driven. My Tagalog is not very good but I got the impression that it was possible. After my walk I decided to try it. Zc900. I started out at Santa Maria East, barrio of San Nicolas; the km stone says 43 km to Santa Fe in Nueva Viscaya. Zc901. I started out at Santa Maria East, barrio of San Nicolas; this is a view back. Zc902. About 8 minutes later I got a view of the mountains where I am headed to and I can see the Villa Verde Trail/Road Cut ahead, the next picture will show it clearer. Zc903. About 8 minutes later I got a view of the mountains where I am headed to and I can see the Villa Verde Trail/Road Cut ahead, it is a long way to go. Zc904. This is my actual GPS track of my drive on the Villa Verde Trail on the 16th of Nov. 20018. 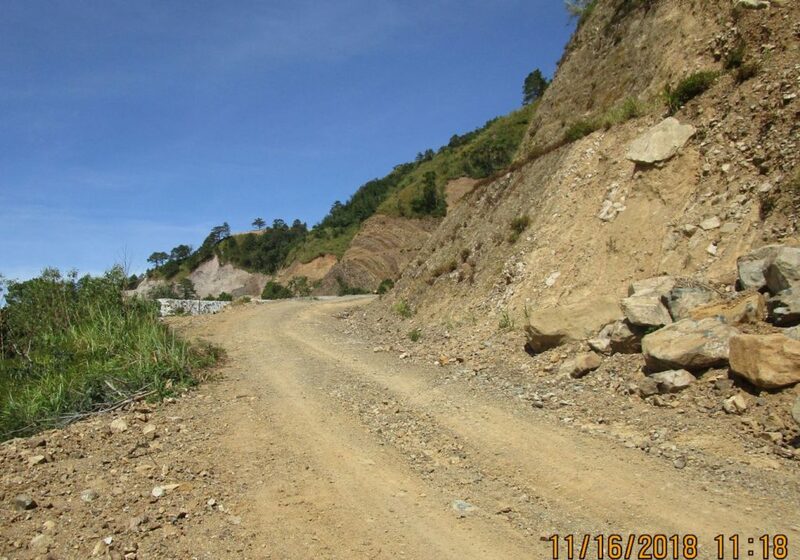 This is a new road being constructed between Pangasinan and Nueva Viscaya. Zc905. This is my actual GPS track of my drive on the Villa Verde Trail on the 16th of Nov. 20018. 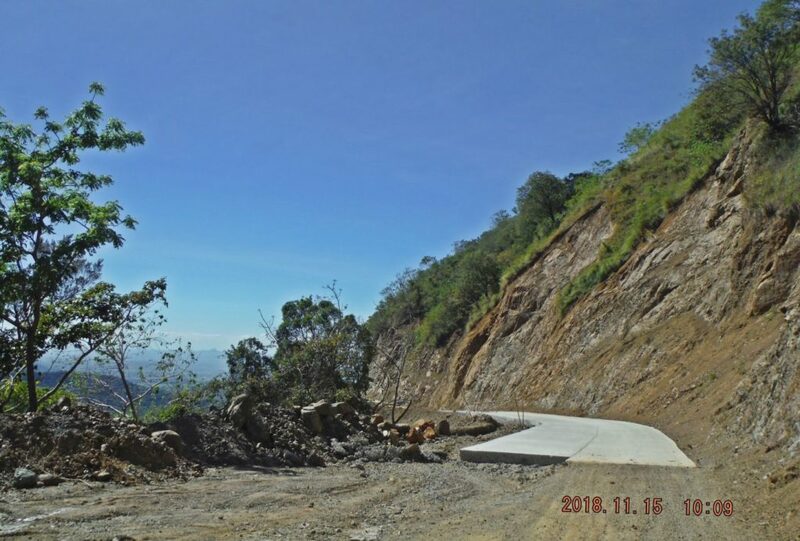 This is a new road being constructed between Pangasinan and Nueva Viscaya. On this Google Earth image I marked in the landmarks. Zc906. This is my actual GPS track of my drive on the Villa Verde Trail on the 16th of Nov. 20018. 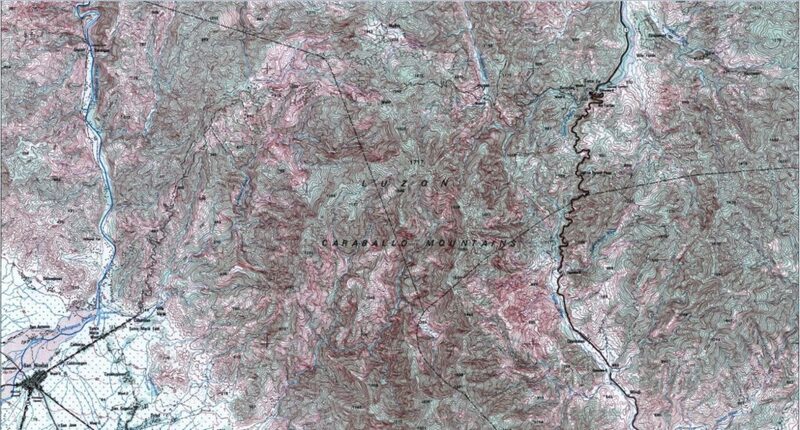 This is a terrain map from my Garmin account. Zc907. This is my actual elevation profile of my drive on the Villa Verde Trail on the 16th of Nov. 2018. Zc908. 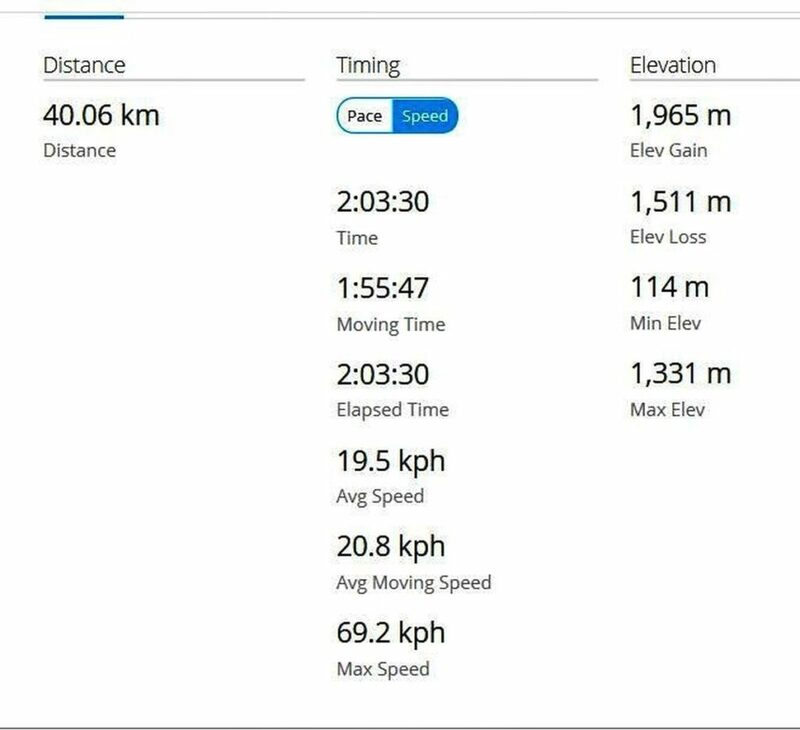 This is my GPS data of my drive on the Villa Verde Trail on the 16th of Nov. 2018. The distance does not jive, my GPS device cut corner, ha, ha. Zc910. 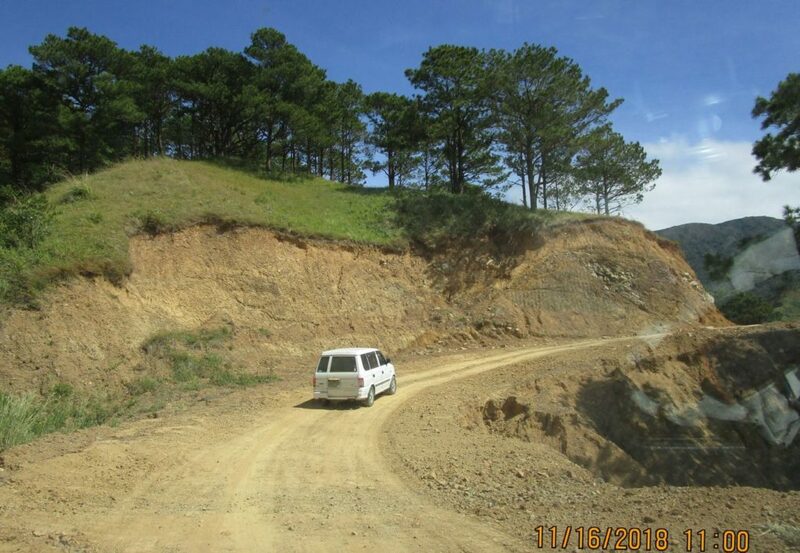 There was traffic on this Villa Verde Road, now called the Pangasinan and Nueva Viscaya, I asked them whether one could drive all the way to Malico and I got the impression one could! Zc911. 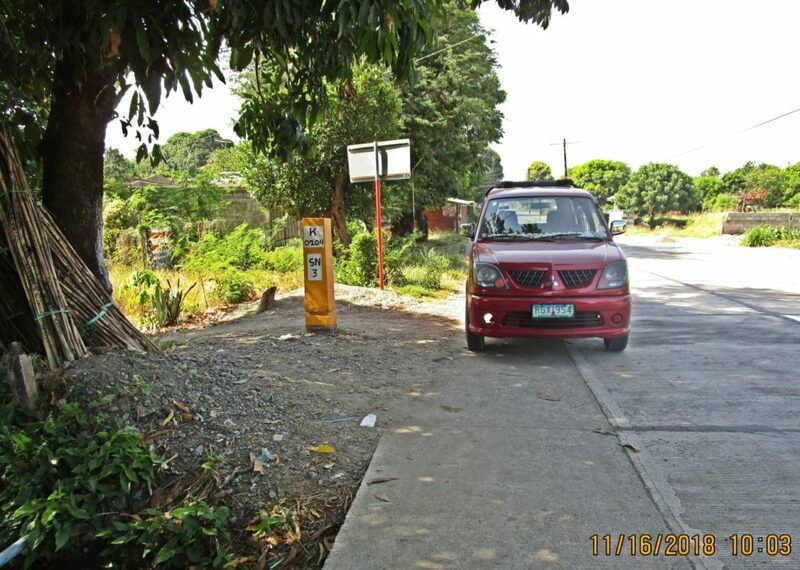 I followed that vehicle, I had met it earlier during my walk and it was now returning to Malico. Notice the embankment at the ravine ahead, it is being repaired. Zc912. I followed that vehicle, I had met it earlier during my walk and it was now returning to Malico. This is part of the middle section of the trail between San Nicolas and Malico. Zc913. 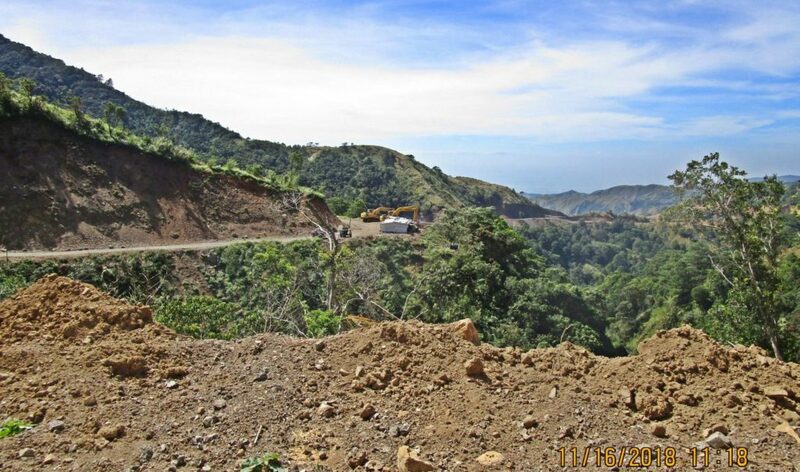 I crossed the middle section which runs along the watershed line between the two rivers and I am approaching the Caraballo Spur Mountains and it got difficult here; very narrow and they just finished blasting. Zc914. This is the last picture zoomed in. 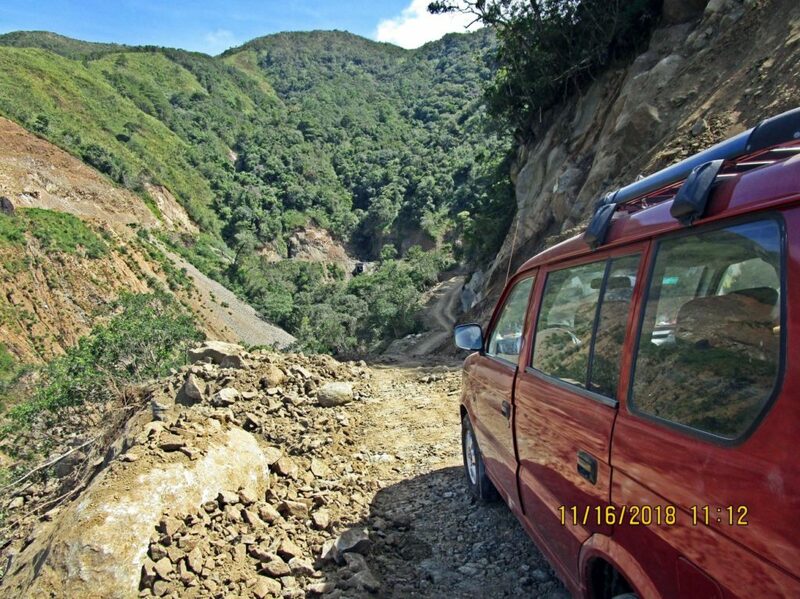 I crossed the middle section which runs along the watershed line between the two rivers and I am approaching the Caraballo Spur Mountains and it got difficult here; very narrow and they just finished blasting. Zc915. This is at the same place at the last two pictures, but I am looking back. 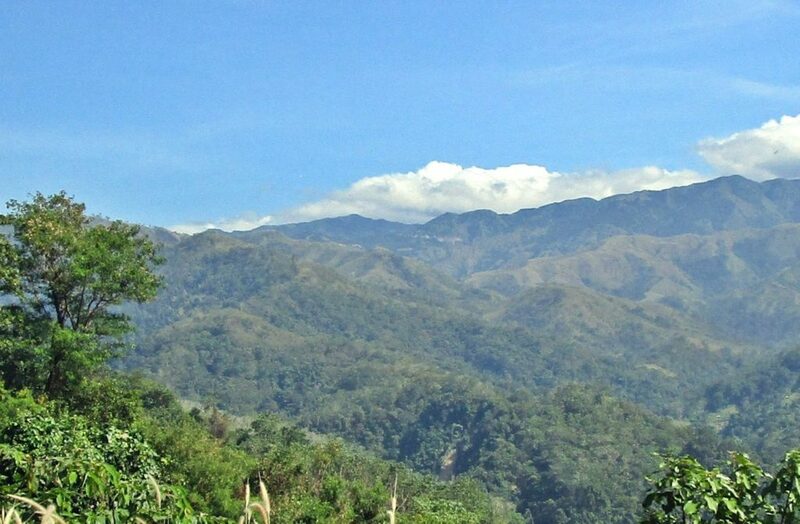 I have reached the cliffs of the Caraballo Mountains. Today there was some blasting here and I am standing on a pile that was blasted before though. Zc916. I am passed the blasting area and in back one can see the area of recent blasting. Zc917. 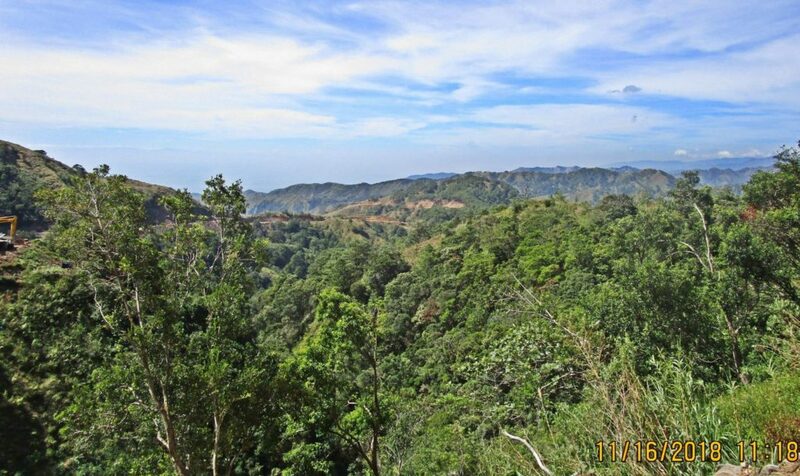 This is another look back; I am passed several ravines, passed the blasting area and more important we can see where the Villa Verde trail reaches the Caraballo Mountain Cliffs after it crossed the expanse from that ridge in the background. Zc918. This is a similar look back, as in the last picture, from the Caraballo Cliffs towards the ridge in the background. 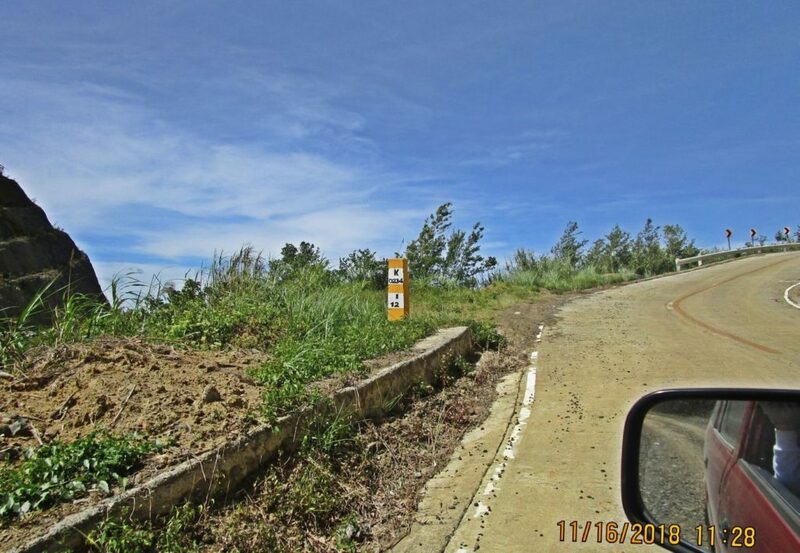 In between we see Hill 1053 which is used by the Villa Verde Trail/Road to connect these two mountain ridges. 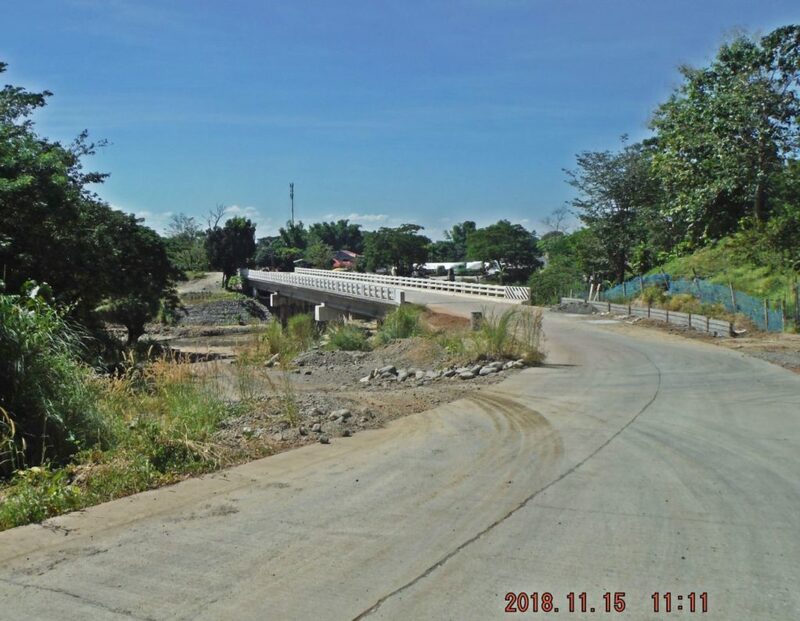 The Villa Verde Trail runs along the watershed line between the two rivers, left is the head water of the Cabalisian River which drains to the left and south and remember the new bridge was built to cross it at the start of the Villa Verde Trail, Pangasinan End. 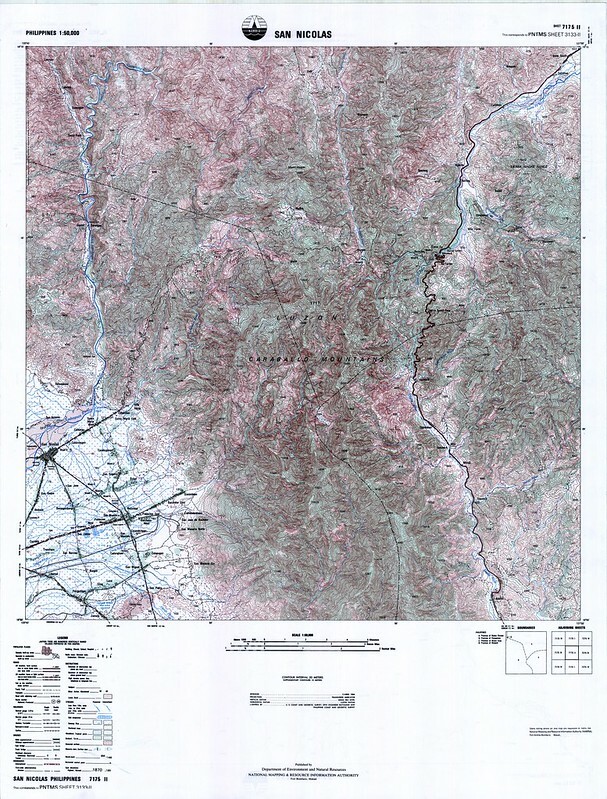 To the right is headwaters of the Ambayabang River, it starts in part at Malico, hooks to the north, then makes another large curve to the left and flows south into the Agno River. Zc919. That ridgeline ahead, down from the road, houses the WWII tank, which makes me believe that the Villa Verde had several tracks reaching the Salacsac Passes at Malico Village. Zc920. 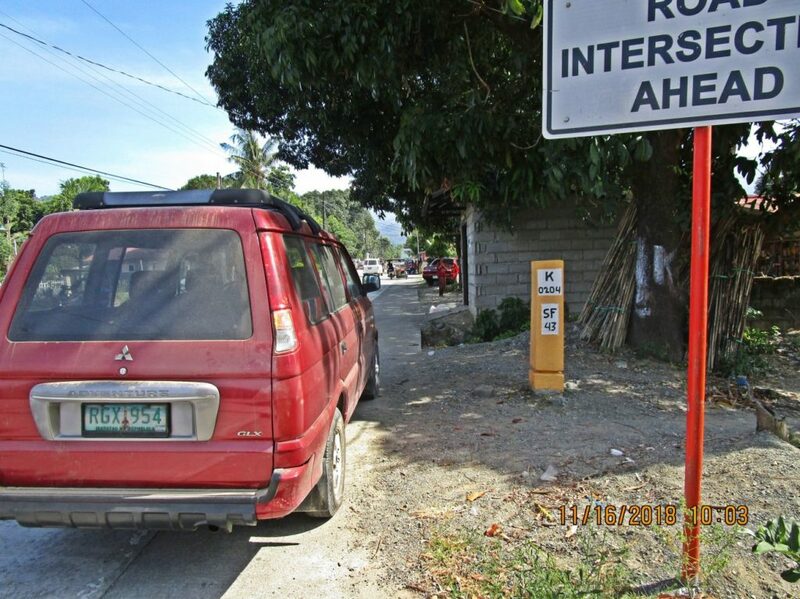 These km stones have been recently replaced; it says 12 km to Imugan Town. 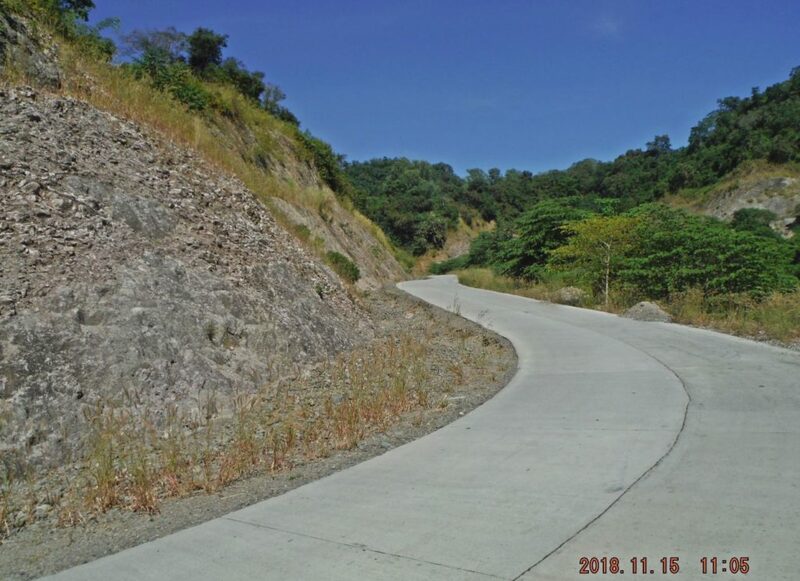 From there to Santa Fe it is about another 8 km, so from here to Santa Fe, about 20 km, the Villa Verde Trail/Road or the new Pangasinan-Nueva Viscaya Road is concreted except about 100 meters. Don’t ask me why, I am sure there is some bureaucratic reason. The entrance to Malico Village is about 1 km from here, I consider this the western Salacsac Pass.